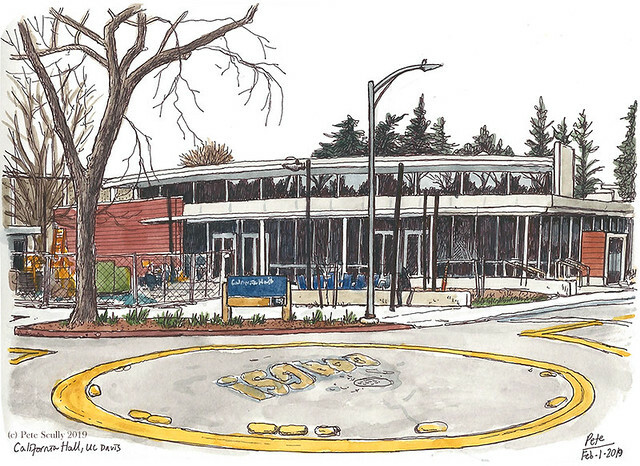 The new lecture hall on California Avenue at UC Davis is now finished, except for a few bits outside. 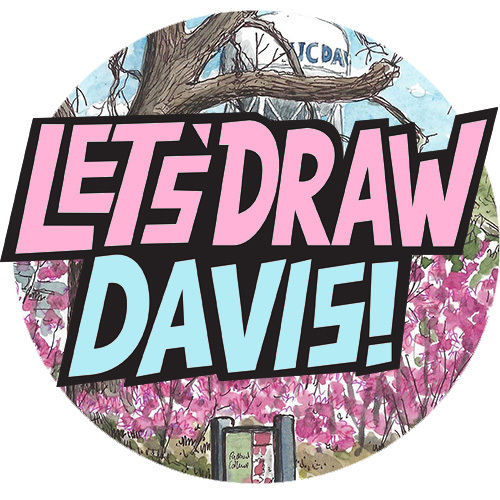 Classes are now being held there (hooray!). 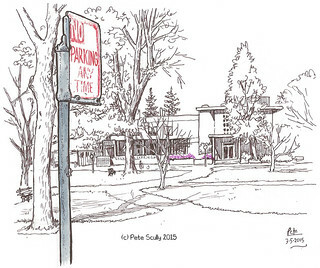 So, time for me to sketch it, since I have sketched this spot for the past few years. Ok here is another post. 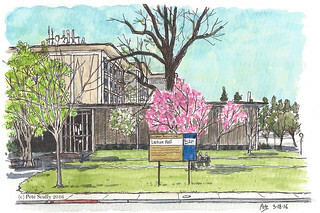 This is California Hall, currently under construction at the UC Davis campus. 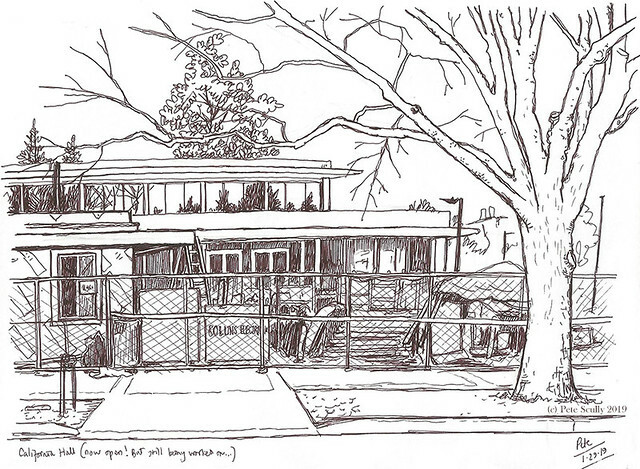 It has come along since this was sketched, in February, but it won’t be ready for Fall. No, I wish it would be but it won’t. At least that is what I’m told. Perhaps Darth Vader needs to come along and say that the Emperor is coming. 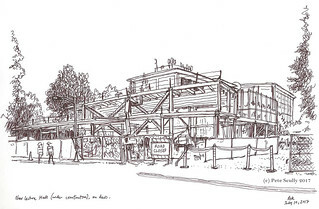 I have sketched the earlier stages of this construction before. 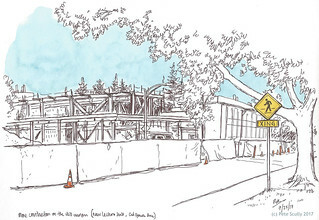 I like sketching the building work on campus, watching this place change gradually over the years. Another panorama, stood in the shade over the course of a couple of days while people biked past. There is Kerr Hall on the right there. Storer Hall is to the left. Those trees will have leaves now.